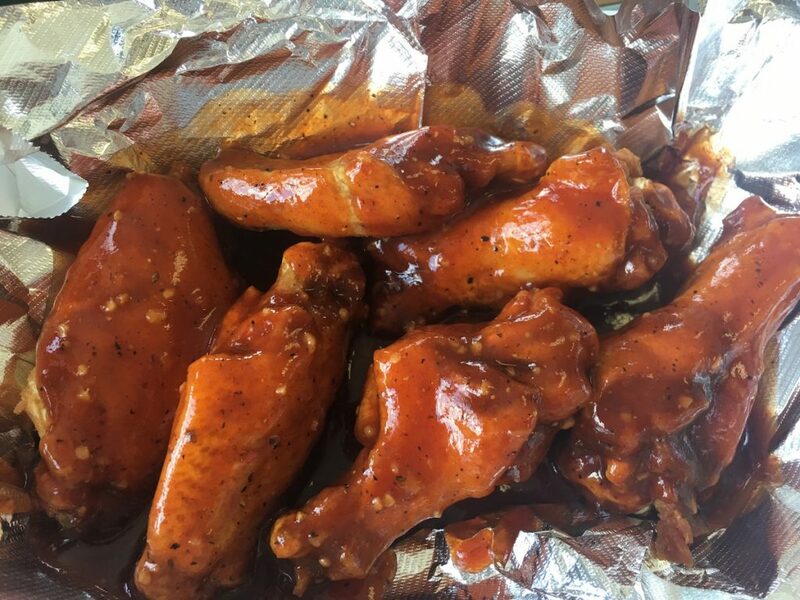 Last weekend, I had my first experience with Big Shot Bob’s House of Wings. I guess it technically wasn’t my first experience. I had sampled a few of their flavors at a party about a month ago, but this was my first attempt going there and ordering myself. I made the decision to drive up to their Coraopolis store so that I could sit down and enjoy the wings right in the store. 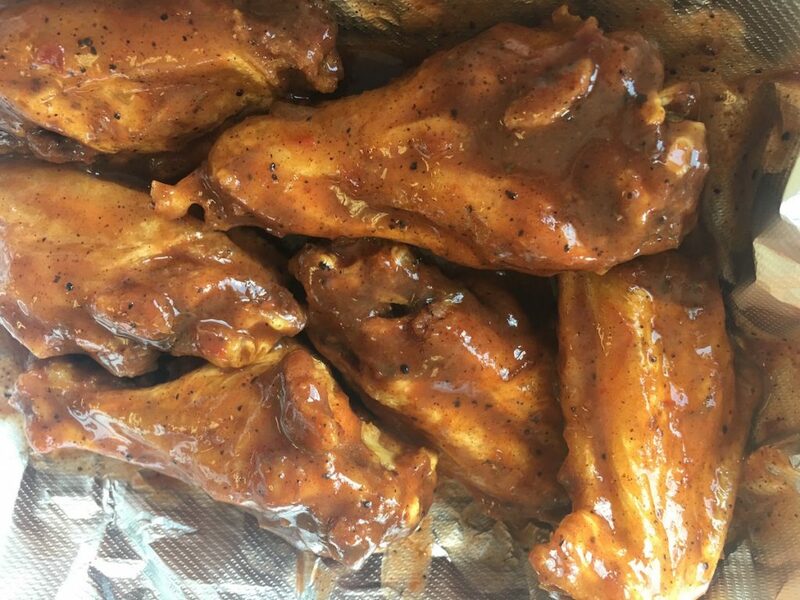 However, for those of you who don’t like to leave Beaver County, there is also an option right down on Franklin Avenue in Aliquippa where you can pick up your wings. I know I just wrote about that new store opening a few weeks ago, but since then I have been bombarded with people asking me about the experience there. As of this past weekend, I can assure you that the wings are legit. 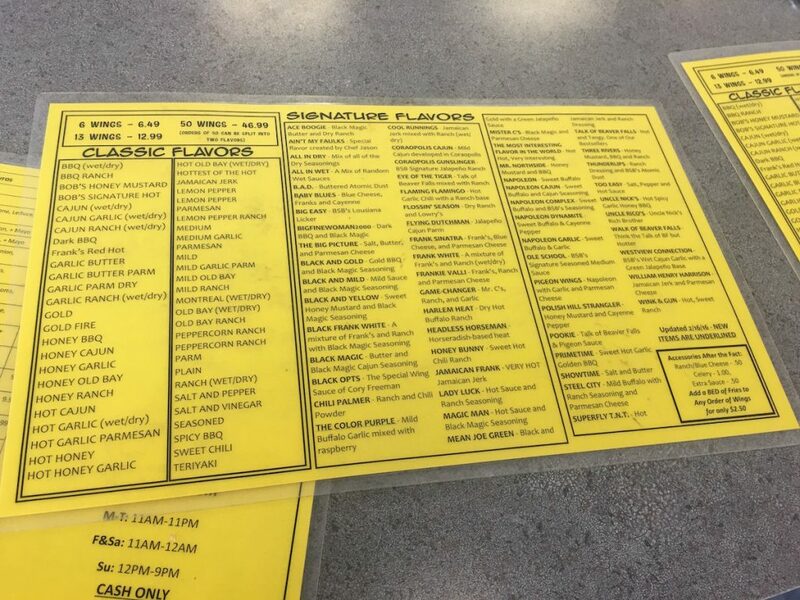 When you have so many wing flavors to choose from, the process of ordering can actually be pretty overwhelming. On my trip, I was able to try three different flavors. This first one is called “Pookie,” which is a combination of their “Talk of Beaver Falls” and “Pigeon Sauce” flavors. 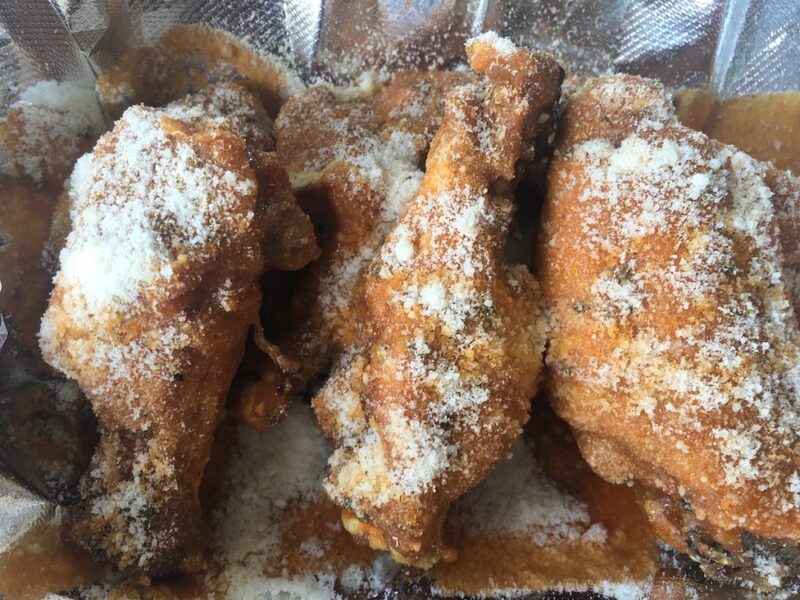 The “Talk of Beaver Falls” is a hot and tangy sauce that they list as one of their best sellers, and the “Pigeon Sauce” is a sweet buffalo sauce with garlic and Parmesan cheese. The second flavor that jumped off the page at me was called “Uncle Nick’s.” This is a hot and spicy honey bbq sauce with garlic. It. Was. Awesome. The third flavor that I went with on this trip was “Jamaican Frank,” which was a spicy version of a Jamaican jerk sauce…and it definitely had some kick to it. My friend that was tagging along with me wanted to try something a little more common, so he went with the classic mild sauce and thought it was excellent. I obviously expected the wings to be great, and was thrilled that they delivered on those expectations, but what I didn’t expect was for the fries to be fantastic as well. 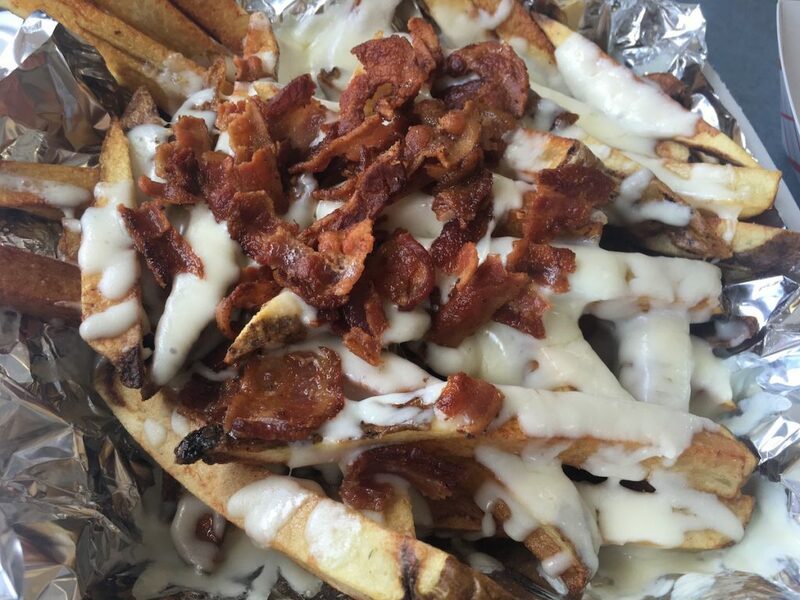 These cheesy bacon ranch fries were cut really thick and I watched the guys put big thick pieces of back on the grill for them. Yum! So at this point, I am a convert. 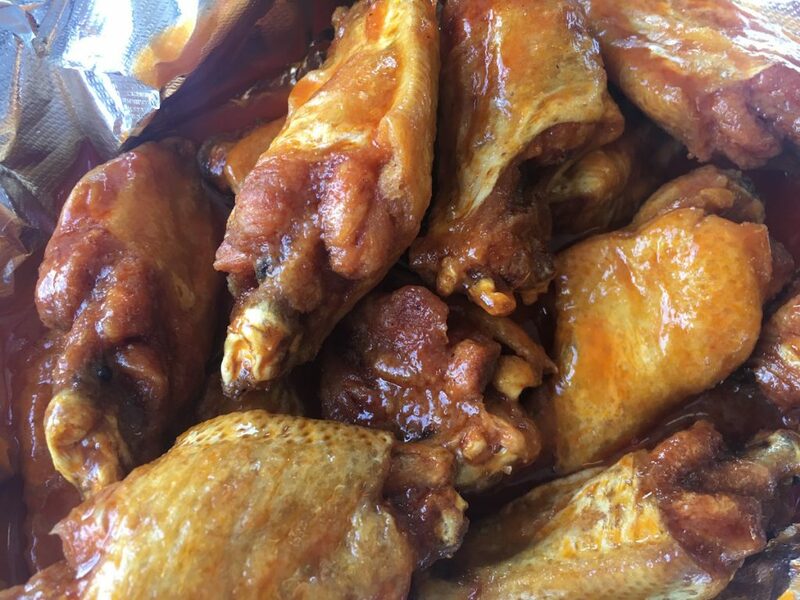 I think that Big Shot Bob’s is serving up the best wings of anyone around here, and it’s about time for Marc to update that list he put out a few years ago!  Archived in Food, Restaurants.